I saved up my birthday money from the past two years and bought myself a new iPod. 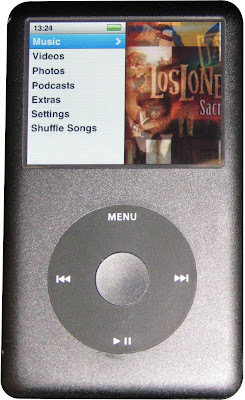 My old iPod, which I treasured, was an iPod mini and had just 4GB of space. That is about 1,000 songs worth and when I got it, it seemed like plenty. But after awhile I began to want more. I created a Great Songs list that had a broad mix of rock, country and jazz with lots of Beatles, Bob Dylan and Bing Crosby as well as the Ken Burns Jazz collection. But then I began to get into classical music and the more classical pieces I would add to the iPod, the more of the other songs I would have to pull off. Before long I had nothing but classical music on my iPod and even then not enough room for all that I wanted to put on it. Plus, I should note, my iPod mini did not have video capability, not that I would have had room for any videos anyway. So I solved all those problems with my new iPod which has 160GB. Let me repeat that.... 160 GB. Wow! Now I have all my music on my iPod, and I do mean ALL of my music - or at least all that I want to put on it. ALL of my classical music - and I've got a lot of classical music after spending the past year raiding the San Antonio Public Library for everything it has to offer. I've got all my Ken Burns Jazz collection plus lots more jazz music to boot; I've got all of my Beatles, Bob Dylan, Bruce Springsteen, Bing Crosby and the Police. I've got almost my entire rock collection, most of my country and folk collection, even my collection of Broadway musicals. I may eventually put my Christmas music on there too as the holiday gets closer. So far I have more than 10,000 "songs" on the iPod. And then there are the videos. I have two movies which came with digital copies that I had no use for previously and now I have loaded on my iPod - Tim Burton's Alice in Wonderland and the 2010 version of Karate Kid, both of which are pretty good movies. And I have downloaded half a dozen free TV episodes off of iTunes mostly to entertain my kids - several cartoon shows, a National Geographic special and an episode of Top Gear. And I have a whole mess of Podcasts that update everyday including NPR news updates, lots of old time radio shows and the entire Rachel Maddow show downloaded everyday. On top of all that I have downloaded all the digital pictures from my computer at work - mostly pictures of my kids. But the best part is that even after all of that, I still have more than 67 GB of free space on my iPod. I agree completely with this article in the Economist. The iPod is definitely the best thing Steve Jobs ever did. While it would be nice to access the Internet or make phone calls, I would never give up my iPod for an iPhone or an iPad. Having all my music in one place, easily accessible by searing or playing randomly is just too much fun. "I disagree with that. I think Paul is wrong on this point." It was a shocking thing to say in a Sunday school class. Especially one led by a group of people who fervently believe the Bible is the infallible word of God. But I couldn't keep quiet and concede the point. Besides, they brought it up and asked my opinion. So I hope nobody was too terribly shocked and offended. I'm pretty sure they already see me as the token liberal in the class and they haven't run me off yet. The topic today was about gays in the church. Methodist doctrine currently forbids gays from taking any kind of leadership role in the church. A person in the class who sits on a committee that will represent our church at a conference where they will discuss making changes to the church bylaws brought up a proposed amendment that would prohibit discrimination based on sexual orientation. She asked what we all thought. The class quickly divided into two groups - one that wants to keep the doctrine the way it is and says the amendment is not needed, and one that believes the doctrine is already too tolerant of gays in the church. Then I spoke up and said I support the amendment and furthermore, I did not believe that being gay was a sin. This caused a flurry of page flipping as people dove into their Bibles to call up Leveticus and First Corinthians to "prove" to me that being gay most certainly is a sin. 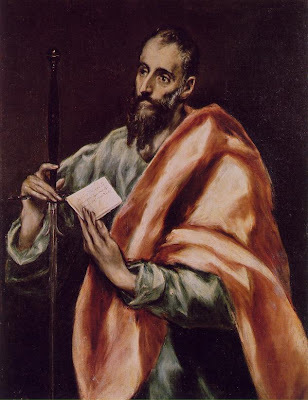 Our class leader found it first and proceeded to read the entire section in Paul's first letter to the Corinthians where he condemns homosexuality in no uncertain terms. That is when I interjected my shocking statement. "I disagree with that. I think Paul was wrong." I didn't get a chance to say much more because the class time was over so I thought I would elaborate here on my blog. Paul was clearly influenced by the Old Testament writings in Leveticus. What's more, he had no knowledge or conception about biology. Sexual orientation is a biological function, not unlike being left or right-handed. A person can choose to suppress it or ignore it, but they cannot change it. But back in Biblical times they had no idea about this and just assumed that people were choosing to do "unnatural" and thus sinful things. But note that God never directly addresses this as a problem - it is not part of his Ten Commandments and he never mentions it as a problem to any of the prophets. Instead, he seems to be much more concerned with idolatry and other forms of wickedness. Likewise, Jesus never broaches the topic in any of his stories or sermons. One would think that if it was such a heinous sin meriting death and isolation from the church that they might have made some effort to mention it rather than leaving it to be addressed in the multitude of laws listed in Leveticus most of which we ignore today. But for some reason, this particular "sin" is given a higher status among believers. They are not so much concerned about other forms of adultery and have pretty much forgotten about the bromides against eating pork, shellfish or of touching women when they are menustrating. No, gays are definitely singled out for special mistreatment. And yet, despite all of this condemnation we find that roughly 5 to 7 percent of the population in every community throughout time "chooses" to be gay. A most remarkable persistence and amazingly consistent as well. So I disagree with Saint Paul and instead agree with Lady GaGa in my belief that gay people were "Born That Way." I think I have more scientific evidence on my side than Paul did and I dare say if he were still around today he might even change his mind. But the more distrubing thing I think for my Sunday school classmates is my clear rejection of Biblical authority. When they show me a quote in the Bible I am only allowed one of two options: I can claim that the quote is misinterpreted or taken out of context, or I can prostrate myself before the Good Book and swear allegiance to whatever it says. Instead, I chose a third option. I disagreed. I don't think we are misinterpreting Paul, I just think he is wrong on this point. I agree with him on most everything else he has to say, but on this one point I think he was off base. But, if I'm correct and Paul is wrong, that would mean that the Bible is not 100 percent true and correct. And if we can't trust the Bible, what can we trust? Are we just going to pick and choose what we believe in the Bible??? Yes and yes. The Bible is not 100 percent true and correct. It has lots of factual errors and contradictions. It reflects many of the prejudices and biases of the times that it was written. So what can we trust? Trust your God-given brain and think things through. That's what you do. My faith is with God. I do not rely on any intermediaries between me and God. I do not confess my sins to a priest. I do not look the the Vatican or the Pope for spiritual guidance. The Bible most certainly guides my faith, but it does not dictate my faith. My faith is with God directly. I believe God made the entire Earth and all the people in it. I believe he cares for and loves ALL the people and not just some lucky few. I believe he accepts us the way we are and wants us to do the same. We constantly fall short in our love. God does not fall short in his. Interesting story in the Express-News over the weekend. It turns out that this $20-plus billion deficit that the state is facing should not have been a surprise to anyone, least of all Gov. Perry and Lt. Gov. Dewhurst. The two individuals most responsible for our current predicament were warned that this would happen more than five years ago. Yet they did nothing. Comptroller Carole Keeton Strayhorn didn’t win friends five years ago when she warned Gov. Rick Perry and state lawmakers they were writing the “largest hot check in Texas history” during a tax overhaul that resulted in lower property taxes and a revised business tax. Strayhorn told them their plan would fall about $23 billion short over a five-year period. Five years later, state leaders are staring at an estimated budget shortfall of nearly $27 billion. Yeah, Perry and Dewhurst didn’t care because they knew that cutting taxes would make them popular, consequences be damned. But now that the time has come to pay the piper, Perry is pretending like it’s no big deal and all we have to do is trim a little here and cut a little there. He blames the nation’s economic collapse in 2008 for contributing to the state’s projected budget shortfall today. The nation’s economic collapse three years ago contributed to some of the state’s revenue troubles, but the biggest problem is that the new business tax did not generate enough money to pay for the school property tax cut, Strayhorn said Friday. That’s the message we are getting today from leaders of the Tea Party movement in the wake of the mass shooting in Arizona over the weekend that killed six people and critically injured a Democratic Congresswoman. After a particularly vicious and nasty (and largely successful) campaign to defeat Democratic lawmakers across the country in which violent imagery and slogans were constantly referenced, should we be surprised that a deranged individual decided to take matters into his own hands and carry out a “Second Amendment remedy” against one of the Tea Party’s top targets who barely managed to hang onto her seat? 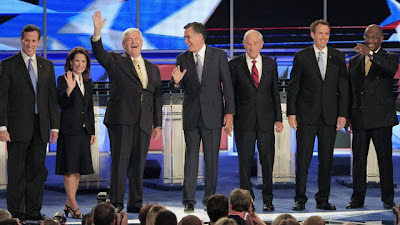 Certainly it is unfair to spread blame to everyone involved with or connected to the Tea Party movement. Most, I’m sure, are gentle, peace-loving folks who wouldn’t harm a fly, much less shoot a moose. 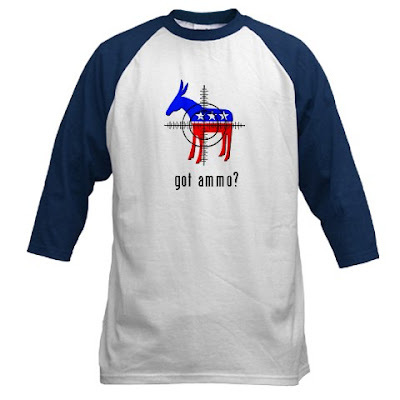 And only a handful would be radical enough to purchase and wear a provocative t-shirt like the one shown above. But is it too much to ask that this tragedy at least serve as a wake up call to those out there who have been far too willing to tolerate hateful, violent, anti-government rhetoric in order to advance their political causes? Can we quit referring to the federal government as “the enemy”? Can we quit with the paranoid, alarmist crys that THEY are “out to take your guns”? Can we quit scaring people with hyped-up fantasies about “death panels” and “terror babies”? Sadly, I am afraid that it IS too much to ask. The initial response from folks on the right has been angry denunciations of those on the left for having even dared suggest such a thing. Their immediate response was to deny any connection whatsoever with the deranged shooter and claim he is some kind of left-wing anarchist who was never influenced by their campaign against the congresswoman. And, I am afraid, that there will be continued resistance to restoring common sense gun laws such as the Clinton-era Assault Weapons Ban that Republicans allowed to lapse in 2004. If that law had been in place, the deranged gunman would not have been able to buy a brand new extended clip with 30-rounds for his Glock 19 which he purchased without any need for a license or a waiting period or a background check. What exactly does anyone outside of the military or law enforcement need with an extended clip for a Glock 19 other than to make it easier to commit mass murder? But getting common sense gun laws through this current Congress is now likely impossible since voters, in their inestimable wisdom, decided to reward the Tea Partiers big victories in the last election and hand control of the House back to the Republicans again. I’ve always considered myself to be a big fan of baseball above any and all other sports. Ever since I was a kid starting out in Little League, collecting baseball cards and rooting for my beloved Cincinnatti Reds of the Big Red Machine era, my enthusiasm for baseball has been very high. But recently it has become apparent to me that while my love of baseball has not abated, it has been eclipsed by a fresh new enthusiasm for basketball. Perhaps it is due to living for the past 10 years in the largest U.S. city without a Major League Baseball team (or NFL team, for that matter). 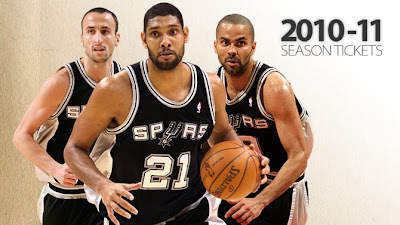 But I have simply been completely won over by the local pro basketball team, the San Antonio Spurs. I find myself following the Spurs much closer than I have followed any baseball team at least since the 1998-03 Yankees, if not the ‘73-’76 Reds. I was happy when first the Houston Astros and then the Texas Rangers made their first ever appearances in a World Series these past few years. But I had not really followed either team that closely and couldn’t name most of the players beyond the few standout stars. With the Spurs, however, I find myself following every player, game-by-game, down to the lowliest bench warmer. Now I’m keenly interested in any news of personnel shifts or trade talks. I look forward to the sports news after the weather and get irritated when the local station leads with news about the Cowboys before getting to the Spurs. I will sometimes read the sports section in the local paper before I turn to the editorial page or even the comics (Gasp!). I try to watch every game I can and record those I can’t for later viewing. I even find myself following all of the other NBA teams and not just the Spurs, rooting for certain teams to lose so that the Spurs will advance further. It’s clear that I’ve become somewhat obsessed with Spurs Fever, though I’m still not as bad as some. I don’t own a Spurs jersey (though I do have a couple of t-shirts). I don’t drive around with a Spurs flag flying on my car. I don’t wallpaper my cubicle at work with posters and newspaper clippings of the Spurs. I will actually talk about and pay attention to other things that are non-Spurs related. And I won’t be going downtown to celebrate in a mass frenzy should the Spurs win their fifth championship this year. But still, I’ve got it pretty bad and I suppose that admitting to the problem is the first step in the long road to recovery.